Recent events are giving me flashbacks to Jim Ziegler, the hippie, circa 1973. Yeah, I’m talking about the long-haired, bearded, rock ‘n roll deejay. As the country becomes painfully aware of the consequences of the abuse of “Big Data” by formerly trusted politicians, I believe we’ll see the data aggregators regulated and reeled in. Politicians are targeting citizens with in-depth surveillance. They’re using the IRS and the Department of Justice to punish and retaliate against people with differing political views. The amount of data on private citizens amassed and processed by our government for political purposes is a growing scandal that will not go away. Electronic surveillance, spying on the working press, IRS persecution of political rivals — each of us is on somebody’s list somewhere. 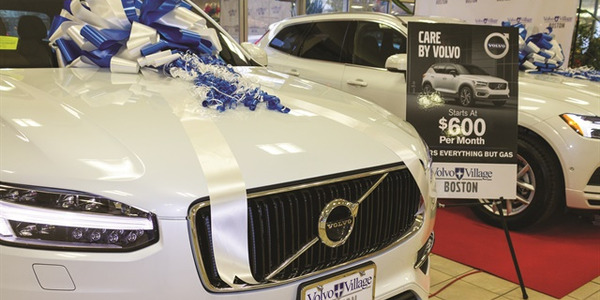 In the retail automobile industry, the abuse of data is no less scandalous. Instead of government agencies, we have formerly trusted vendors grabbing our customer data, aggregating it, repurposing it, identifying it, and using it against us financially — and we pay them to do that. Why are we paying vendors to use our data to lower our profits and use our inventory to export our customers to competitors? The “Data Wars” are now in the national spotlight. The car business is just a reflection of the abuses of technology. ‘Da Man’ believes the indusry hasn’t seen a CEO like Nissan’s Carlos Ghosn since the reign of Ford’s Jacques Nasser. His aggressive style, Ziegler believes, could set off a full-scale pricing war. So far, the Japanese automaker has reduced prices on seven of its top-selling models and is threatening to increase incentives to drive up market share. This may be the end of an uneasy peace escalating into a full-scale war. 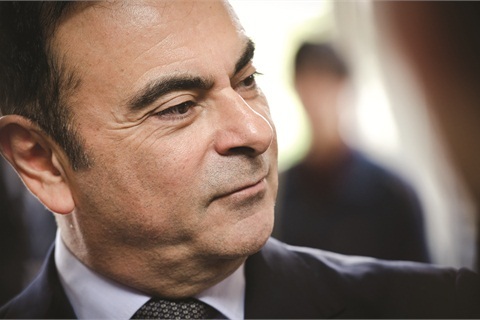 Carlos Ghosn is as ruthless as any executive in our industry, rivaling the stone-cold reign of Jacques Nasser at Ford back in the dark days. He is all about market share and is not afraid to mix it up. While U.S. sales in May were lukewarm for most manufacturers, Nissan exploded with a 25 percent gain in market share. Following a $580 price decrease, Altima sales were up 41 percent. In all, Nissan has reduced prices on seven of its top-selling models and is threatening to increase incentives to drive the market. With all other manufacturers holding the line on prices and incentives since the recession began in 2008, Nissan’s bold moves are bound to bring retaliation — probably spiraling upward into a full-scale price and incentive war. I believe we’re poised to realize some all-time sales records through 2020. We can expect to see increased sales as buyers reenter the market to replace cars they’ve totally worn out. With the average car on the road today being more than 10 years old, the entire fleet is going to have to be replaced. With Nissan outperforming the rest of the market by more than 300 percent in May, the message must be clear to other manufacturers: Nissan is going to drag them into the game, kicking and screaming, and they’re going to have to play. Ziegler is keeping an eye on Tesla’s Elon Musk. He’s just not sure what to make of the CEO’s direct-to-consumer strategy. The first time I heard Elon Musk’s name, I thought it was a new line of men’s cologne from Jovan. Now this guy’s shaking up the industry. Dealer associations are circling the wagons. If you look at Musk’s history, it’s clear he’s a spoiler. A billionaire with a long string of successes, Musk is challenging franchise laws and threatening to bring down the entire dealer franchise system with his car company, Tesla. Don’t be surprised if Tesla doesn’t make an end run around the states’ individual franchise laws and takes its argument directly to Washington. With the Obama administration’s heavy financial commitment to electric and alternative vehicles, I think there is a possibility Musk might try to make a case that archaic state franchise laws are standing in his way of working toward the greater public good. His idea of opening Tesla dealerships in shopping malls is being tested in states where he has gotten approval or bypassed franchise laws. In Illinois, for instance, I’m told he has a dealer’s license to do business under his own name without disclosing that he is, in fact, a manufacturer. The battleground states right now are North Carolina, Virginia, and Texas, where there are strong dealer franchise laws and dealer associations. In the past, several manufacturers have attempted to own and operate dealerships. Without exception, every time they’ve tried it, they got their asses handed to them by the dealers they were competing with. Back in the late ’90s, we saw Ford and General Motors try to retail directly from their own stores, which proved, unequivocally, that manufacturers do not know how to sell cars. They’re bad at it. 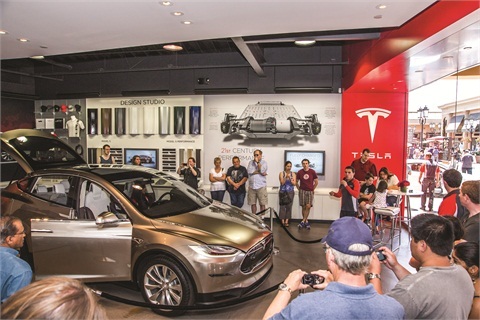 Tesla might be a different animal; it has no existing dealers to compete with. Let’s see what happens. … They’re bound and determined to shove electric cars down our throats. According to a recent article in The Detroit News, there is an ever-intensifying effort by the Obama administration and manufacturers to get American consumers to buy and drive electric vehicles. We’ve already seen consumers overwhelmingly resist and reject electric cars by voting with their checkbooks, but don’t think for a second that’s going to stop politicians from pushing their agenda and for manufacturers with profit motivations from charging ahead in “educating” us. The goal is to build an infrastructure of universal charging stations across the country that would accommodate virtually every brand’s diverse recharging requirements. Dependability, range of travel on a single charge and time to recharge are the major points of consumer resistance to EVs, not to mention the increased cost of ownership over traditional technologies — and that’s in spite of government subsidies and tax breaks. Twenty-five years ago, I would have been laughed off the stage for even insinuating something as ridiculous as a Detroit Three manufacturer falling into foreign hands. But I recently served as a guest speaker at a dealer meeting and I brought the prospect up as a side note. Nobody was laughing. 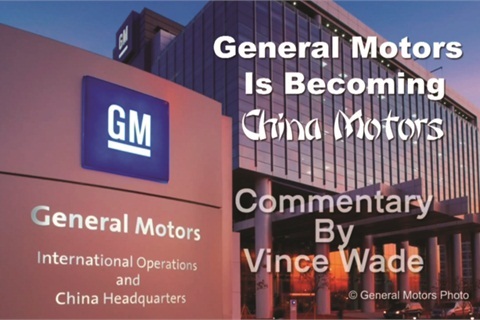 ‘Da Man’ remains suspicious of General Motors’ strategy in China. The company’s announcement that it will no longer list North American and global production numbers didn’t help, either. What if GM paid back the remaining loans and remnants of the bailouts and then became a Chinese company? Looking at its current emphasis and financial ties with China, it’s not that much of a stretch. In my way of thinking, GM has already double-crossed the American taxpayer by exporting manufacturing jobs. Imagine just how cheap manufacturing could be. Even with the Chinese government taking a huge share, building GM cars and trucks in China for export worldwide would be more profitable. The automaker just announced it is no longer going to report production statistics, which list the number of cars and trucks produced in North America in any given month, broken down by nameplate. The company announced simultaneously that it is not going to release global production statistics, either. These moves toward secrecy heighten my suspicion of the direction the company is taking. Suddenly, every Jack and Jill in the industry has become an expert on the buying and shopping habits of Millennials. As if this were really a subject worthy of study and discussion. If you really try to wrap your head around exactly what a Millennial is, you’ll go crazy with all of the online references and definitions of this made-up term that is just sort of an etheric concept. Millennials, also called Generation Y, are sometimes called Echo Boomers, and it is generally accepted they were born somewhere between 1983 and 2000. Now, I’ve always thought that Generation X was the most worthless, shiftless, lazy bunch of slackers ever to breathe God’s air. Of course, that is just the way I see it, based on the segment’s lack of work ethic and loyalty, their job-hopping and their world-owes-it-to-me sense of entitlement. Certainly, that generality doesn’t define everyone in that generation, just most of them. In recent years, however, I have reassessed my opinion of Generation X in light of my opinion of Generation Y. See, Gen X cannot hold a candle to these little mothers for the character flaws I previously listed. The entire world started going to hell as soon as the first of them were old enough to vote. And there’s strong evidence of that. 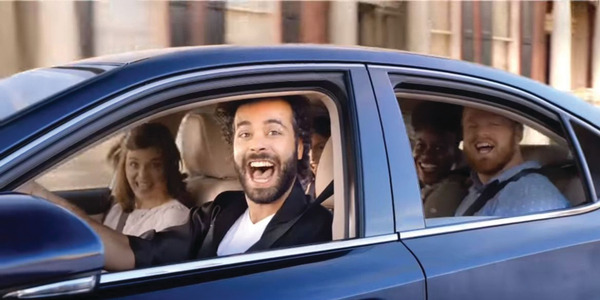 Now that I’ve aired those opinions, here’s the point: Everyone wants to tell us how these people want to buy a car, as if they are a separate and sacred class unto themselves. Excuse me, but most of them couldn’t buy another tattoo without a cosigner. And, like their Gen X parents, by the time they are solvent enough to truly become mainstream consumers, they will have transformed into more responsible people than they are now. This ain’t “The Lion King” here, it’s the real “circle of life.” To some extent, we all became our parents. Most of the Gen Y lecturers point to the fact this generation is all about their technology in the shopping process and the fact that the “zero moment of truth” in the decision-making process has shifted dramatically. Excuse me again, but hasn’t everyone shifted to technology-enabled sales and marketing? For goodness sake, stop trying to make it sound exclusive to the Echo Boomers. If your dealership is not tech-savvy and up-to-date in regards to its marketing approach, you’re dog meat. Fact No. 1 is that the majority of online research is being done on smartphones and tablets. If your website isn’t mobile friendly, you’re not in the game. Fact No. 2 is that you better have a chat feature on your website. When today’s consumers inquire, it is imperative you react and communicate with them immediately. Fact No. 3 is they haven’t stopped shopping until they’re delivered. Even when they are in your showroom they’re still comparing other dealers on their handhelds. For too many years, there have been a number of vendors selling dealers near-worthless leads that have been sold, regurgitated, resold and sold again. They try to tell us they are “nurturing leads” or some other bogus excuse to disguise the fact they gave you a lead and then served up 10 more inventory choices with 10 more dealer choices to the customer. They keep passing the same customer around from dealer to dealer in the name of the customer experience, another buzz word they’re using to disguise their greed. I just typed “Ford + F-150 + Dallas” into a Google search. There were a couple of Texas dealers in the shaded paid search area at the top of the page, but the first two organic searches were for CarGurus.com and Cars.com, in that order. Almost every make and model in every city was the same result. The ‘Alpha Dawg’ is still on the attack. He continues to tell dealers to reject services like Cars.com, and to stop paying them to take their customers. Don’t you get it? These companies are stealing your local search by throwing a lot more money into SEO than dealers are. We’ve already proven they are oftentimes exporting your customers to the competition, sometimes a hundred miles away. The answer is simple. Not all lead providers are shifty, shady and smooth double-talkers, but many of them are making fools out of you. The “lead regurgitators” using the “lead farms” are taking your customers from local search and destroying your local marketing — and you’re paying them to do it. My suggestion is to cancel any of these hostile, anti-dealer vendors who are working against you and reinvest that money in a strong SEO company to generate your own superior leads. The best dealers will buy SEO services and drive these intruders right off the first page. If you take the money you’re paying them now and invest it in SEO, they will not be able to afford to compete with you for your own customers. Just a little blurb I caught in some of the newsletters. It seems that Tennessee is putting on the full-court press to get Fiat Corporation to move its international headquarters for Fiat-Chrysler to that state. Could Sergio Marchionne soon be nicknamed “Bubba”? Tennessee has been aggressive in bringing auto manufacturing to the state. Under the leadership of Gov. Bill Haslam, Tennessee now boasts such esteemed residents as Volkswagen, Nissan and Chevrolet. 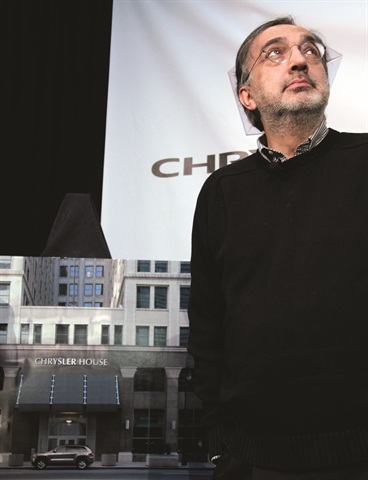 Will Sergio Marchionne move Fiat-Chrysler headquaters to Tennessee? ‘Da Man’ thinks so. Capturing Fiat-Chrysler’s national headquarters would be a major victory for Tennessee and would make Fiat-Chrysler more American than General Motors, at least in my opinion. Marchionne said the Tennessee delegations are working him over pretty hard to make the deal. Of course, Marchionne nonchalantly stated it didn’t really matter where the international corporate headquarters landed — Mexico or South America — it’s all the same to him. Let me be the first to call crap on that. Marchionne is playing the game, but he isn’t believable here. Here’s a guy that would give up the left part of a two-part body part to have a stronger foothold in the USA. When he starts insinuating he’d settle for Mexico or some third-world country, he’s bluffing. I’ll tell you right now, Tennessee under Haslam is driven to be the new Detroit. Maybe “Bubba” Marchionne needs to re-introduce the “General Lee” edition of the Dodge Charger. Remember I said this; the deal is as good as done. Well, here’s the Alpha Dawg winding down another article. I had a lot of fun with this one. Most of it was Classic Ziegler, tongue-in-cheek humor. I’ve been too serious as of late. 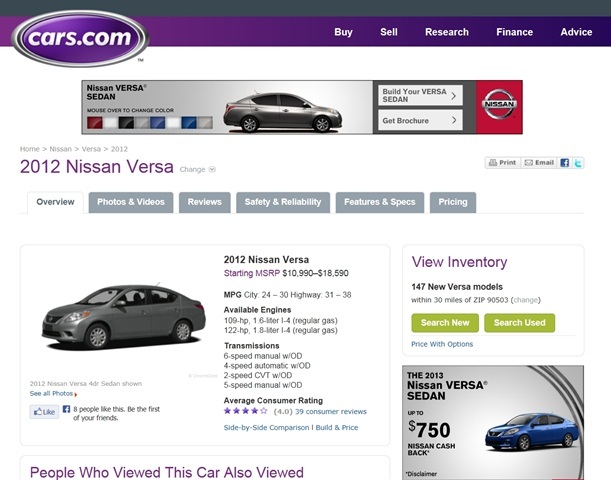 Issues with Cars.com and CarGurus.com will do that. I’m sitting here in a darkened room. It’s late and I’ve polished off two full snifters of vintage Remy-Martin Louis XIII Cognac. You know this stuff sells for more than $150 a glass at any restaurant in the country. I still have five unopened bottles given to me as gifts from dealers and associations. It’s $1,800 a bottle now. Contrary to popular belief, I only drink it once a month, when I write these articles. Until next time, keep those e-mails and phone calls coming and find me on Facebook.